Features two character cubes, two settings cubes and two situation cubes. 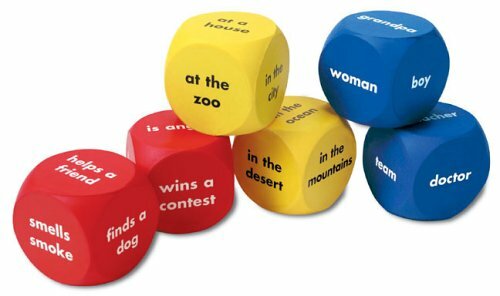 Spark imaginations and reinforce the elements of a story with these color-coded cubes. Set of six cubes includes two blue character cubes two yellow setting cubes and two red situation cubes. Students roll all six cubes then mix and match characters settings and situations to get a story started. Cubes are made of durable foam and measure 1.625". Includes Activity Guide.